One of the most common questions posed by entry-level supervisors and managers attending basic management courses is how to distinguish between the differing roles of management and leadership and how to know when to manage and when to lead. Most government supervisory or management courses don’t place an emphasis upon developing leadership as a core competency. That’s a troubling trend because the failure to develop and encourage leadership will create an organizational-level deficit precisely where it is needed. This very brief article will give you some hints to distinguish between management and leadership skill sets and when to apply them. For purposes of this article, I define management as a competency skill set demonstrated by people in positions of responsibility. The various functional skills that comprise the set typically complement each other to create organizational competency of some degree. Competencies may be thought of as characteristics that distinguish between average and superior organizational performers and, conversely, between average and sub-average performers. These competencies may be broadly categorized as cognitive, affective and psychomotor. Depending upon the position held by the manager and the requirements of the positions being managed, one or more categories may be emphasized or deemphasized. For example, the ability to analyze a systemic problem and reduce it to root cause is a cognitive ability. The ability to tactfully empathize with an employee who is seeking advice or counsel on a personal issue would be an affective competency. The ability to operate a complex piece of machinery requiring precise hand-eye coordination would be a psychomotor competency. The key element to understand here is that the management skill set is not the exclusive province of those in senior organizational positions – even the newest employee typically demonstrates some management skills even if he or she has no one to supervise. Time management, multi-tasking, prioritization, planning, process or outcome measurement and interpersonal communication are all management skills and they are resource and/or process-oriented. If someone is responsible for something or someone else, then one or more of these skill sets are required and may determine how well the task is performed or completed. It is therefore essential that an organization develop those management skill sets in a way that will maximize their utility to the organization. I urge supervisors and managers to manage constantly in a never-ending cycle of assessment, development, implementation and evaluation. The more metrics you can devise and monitor for your processes and operations, the better prepared you’ll be to recognize patterns and their significance to performance. Leadership is largely about the ability to influence people to accomplish some goal. Influence comes from providing a direction, the clarity of a goal or purpose and/or the motivation to accomplish it. 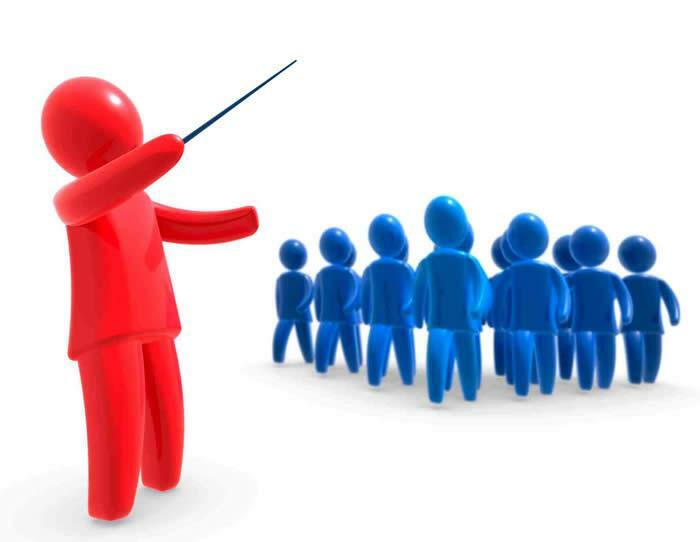 Unlike management, leadership is a singularly people-oriented competency and in some high-performance teams a highly competent performer may hold a tactical or functional command that supersedes the superior rank or title of others on the team. Leadership is a people skill and it is active and not passive – it’s what the leader does that will determine his scope, depth and character of influence. Leadership can be direct (face-to-face or in person) or indirect through organizational influence. Motivation – is some form of motivation required to start, continue or complete some act or process? Then provide the motivation or (even better) inspire a subordinate to provide the motivation. Empowerment – are personnel able to make decisions or do they routinely seek you out for a non-critical decision? Give them the parameters for decision making and problem-solving and let them know it is OK to work through an issue before coming to you. Initiative – do personnel recognize and act on opportunities that will benefit the team or organization, or do they simply use policy as an excuse for inaction? Leaders inculcate an atmosphere that fosters the exercise of initiative by operations personnel. If policy inhibits this – change the policy! Leadership should be viewed as a core competency among public administrators. Integrate leadership development both as an organizational theme and practical application throughout the management career training portfolio. Develop managerial skill sets even in non-managerial personnel through operational practices and policies that encourage positive outcomes. Author: Louis J. DeAnda is a Ph.D. candidate at Walden University’s School of Public Policy and has 28 years of operational and management experience in criminal investigation and counter-terrorism both domestically and overseas. He currently operates a strategic security consultancy and may be contacted on the Linked-In professional network.